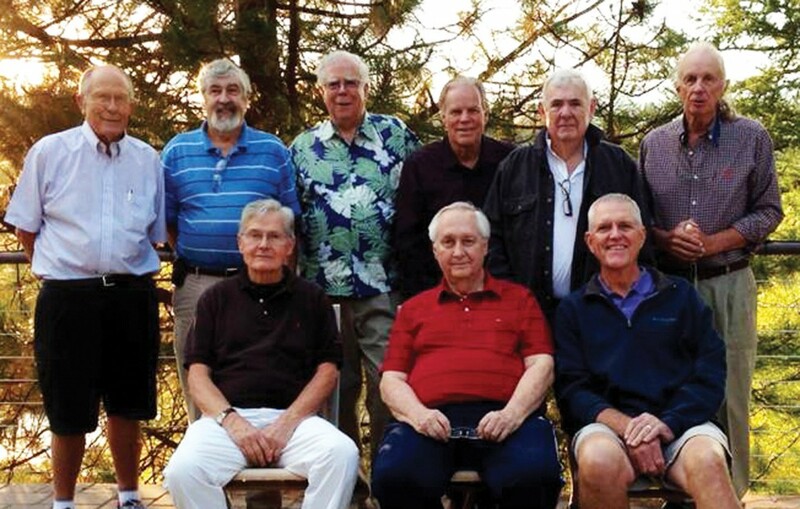 Former Phi Delta Theta members gathered at Black Butte Ranch near Sisters, Ore., in September 2013. Seated, from left: Bill Peterson ’60, Robin Reid ’59, and John Reid ’63; standing, from left: John Gibson ’60, Jack Heiberger ’60, Bill Master ’60, Pieter Myers ’61, Ray Babb ’62, and Robin Poole ’61. Cliff Young, a Denver restaurateur, was featured in a September article in the Denver Business Journal. Cliff is the owner of CY Steak, which serves top cuts of beef and features Las Vegas-style cabaret entertainment. 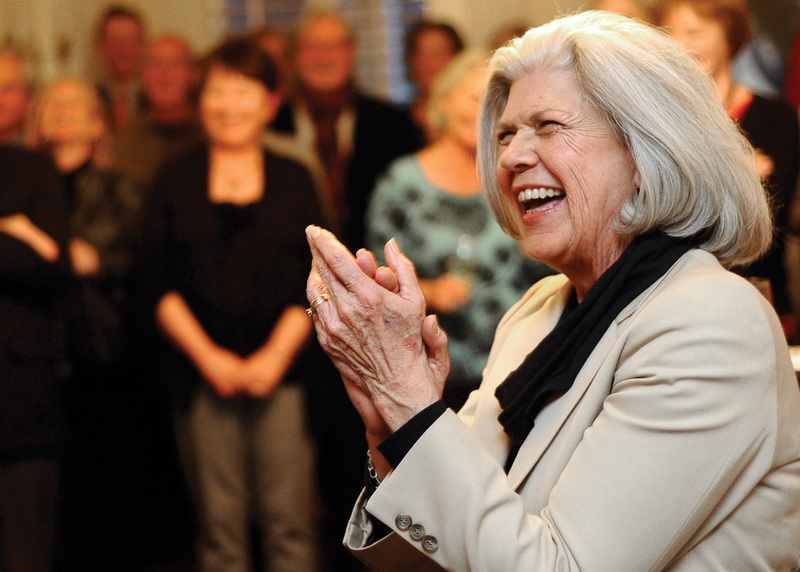 Diane Brown Benninghoff was sent off in style in mid-January after 28 years of serving the CC community as alumni director, then assistant vice president for advancement. 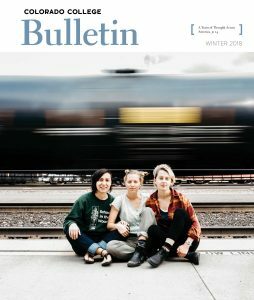 She is looking forward to having more time to write, taking more trips down the river, and most of all, spending more time with her husband, Ted Benninghoff ’68. 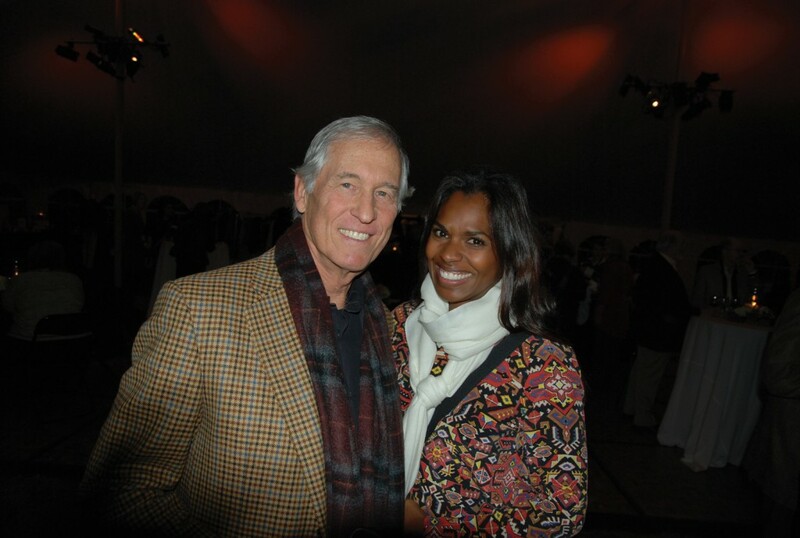 Nicholas Binkley ’68 and his wife, Samantha, attended the 45th class reunion during Homecoming Weekend, Oct. 10-13. *Digital photos should be jpgs of at least 300 dpi and minimum of 3” x 5.5” When identifying people in photos, please list them left to right. Thanks for your participation!